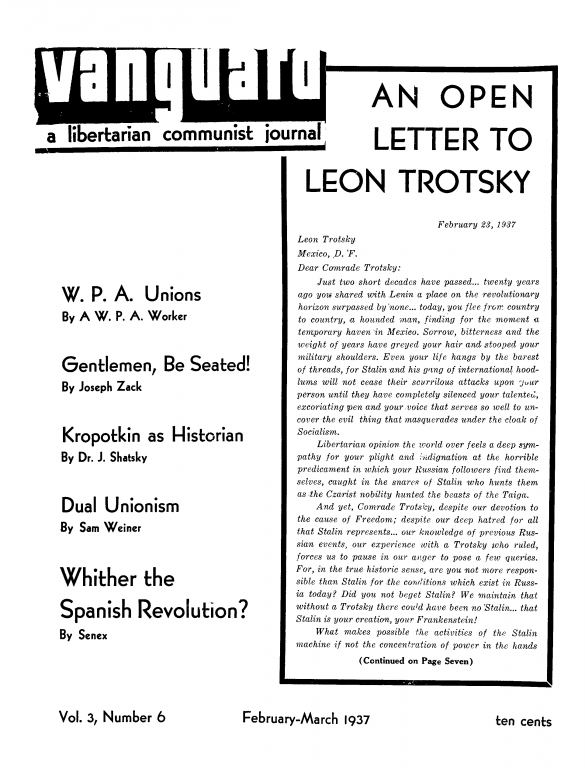 The February-March 1937 issue of Vanguard, an anarchist journal published out of New York. -New York W.P.A. unions by M.W.